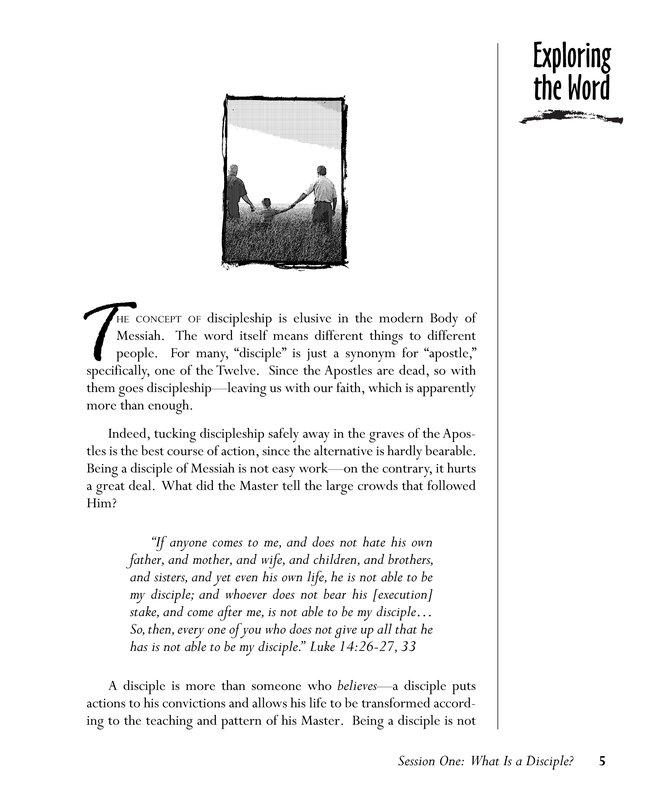 This “Discipleship Edition” contains the same material as the Bookshelf version by the same name, plus questions and workbook activities. More than just a Messianic Bible Study, this book digs deep down into your innermost being to discover the disciple in you. As believers in Messiah, we are called to practically and actually live our lives like the Master. But many times it is a daily struggle for us to walk in the ways we know we should go. 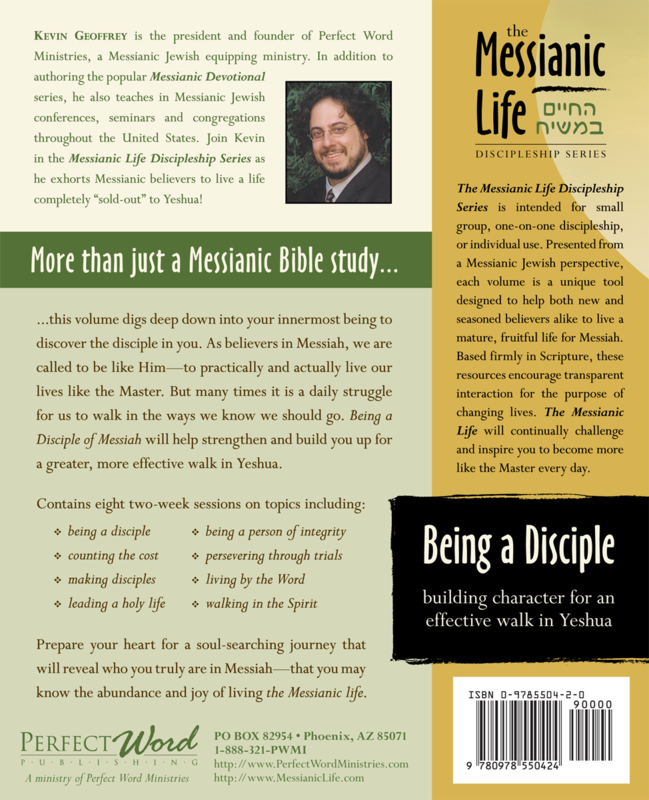 Being a Disciple of Messiah will help strengthen and build you up for a greater, more effective walk in Yeshua. 10-24 books 35% $10.39 ea. 25-49 books 40% $9.59 ea. 50+ books 45% $8.79 ea. The webstore will automatically add the quantity-based discount in the “Cart Totals” section of your shopping cart, located after the subtotal. Please contact us for deeper discounts on wholesale/resale and larger quantities. Wow! This is not for the half-hearted. It’s all or nothing… there are times I have a hard time picking up the book to read more. It deals with where you live. 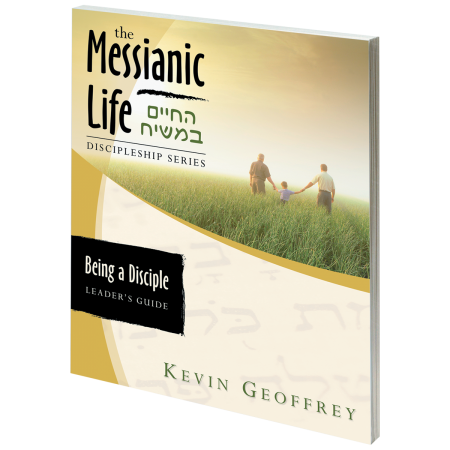 I have been a women’s bible study teacher for nearly 30 years and recently we began “The Messianic Life” Discipleship Series. It has taken our group into a deeper dimension and has helped to bring us to a place of trusting and loving one another as the Master teaches. This is truly a Holy Spirit anointed program for the Body of Messiah at large and has brought us to a place in which I believe Yeshua intended for His Beloved Body. 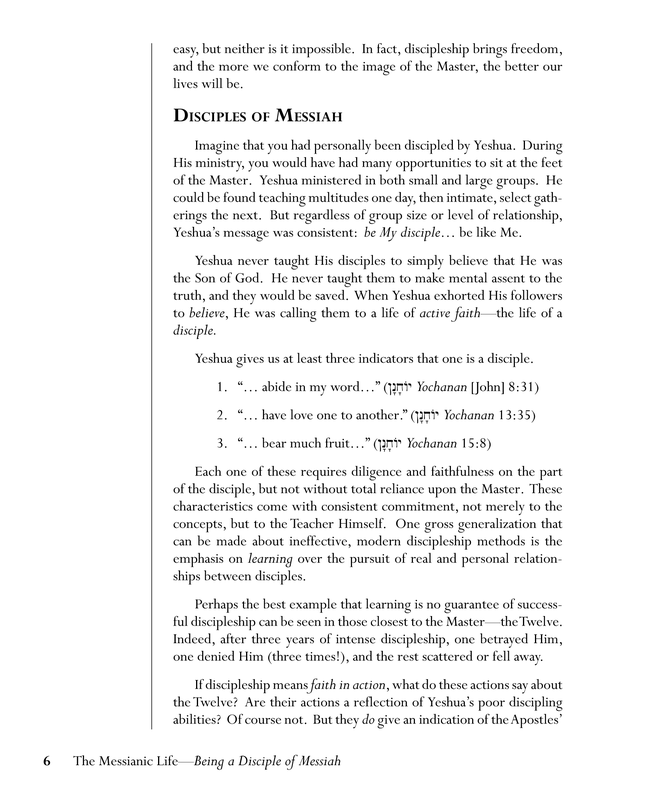 This workbook is a “must read” for every serious Disciple of Messiah. It is thought and action provoking, and is a great book to study in a group setting. I highly recommend it to any serious student of the Word of God! Wow, what can I say! If you have received anything from Perfect Word Ministries, you know by now that Kevin has definitely been anointed by Elohim for this work. 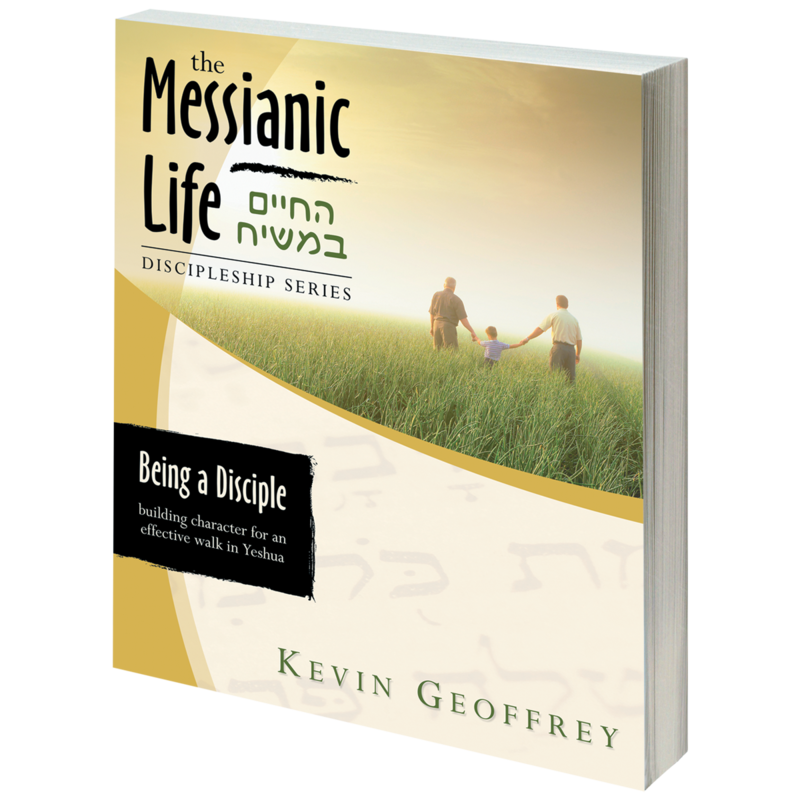 That has never been clearer than in his book The Messianic Life: Being a Disciple of Messiah. 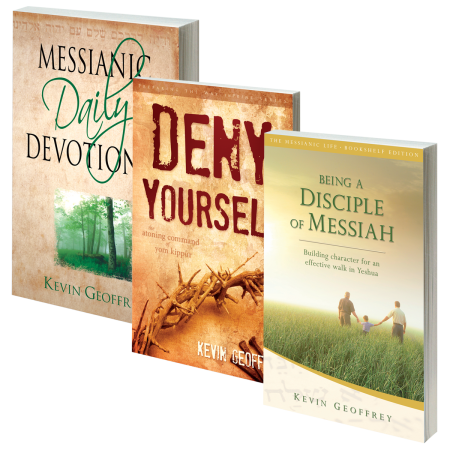 Just a jaw-dropping reality of how little I knew about what it meant to be a true disciple of Messiah Yeshua. 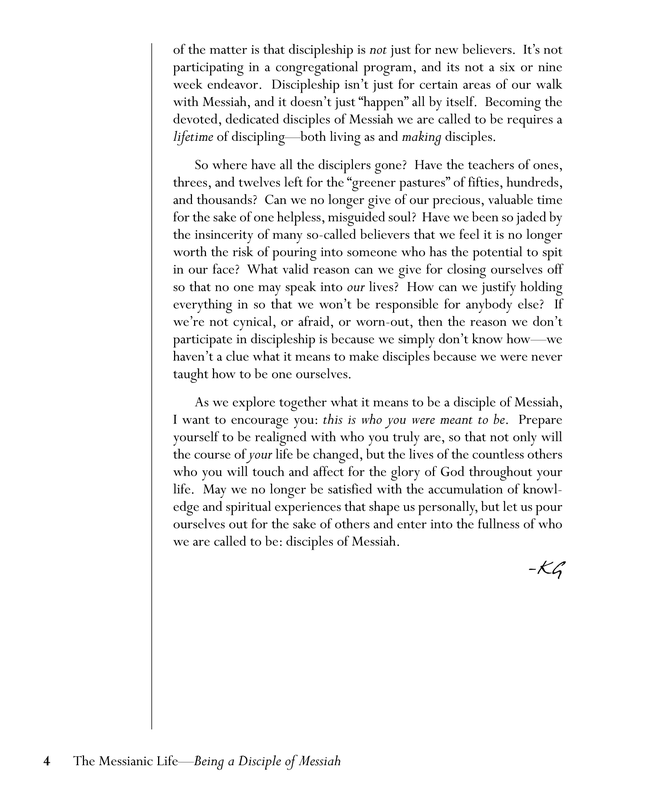 This is not some trite call to “evangelize” the masses, but a practical, down-to-earth insight to help you understand first what it means to be a disciple, before you go and try to disciple. You can’t give to someone else what you do not already posses. I have been especially blessed when he made me realize that instead of going to try to disciple the world, that I am missing the best opportunity for creating disciples in my children. Thank you Kevin for that! 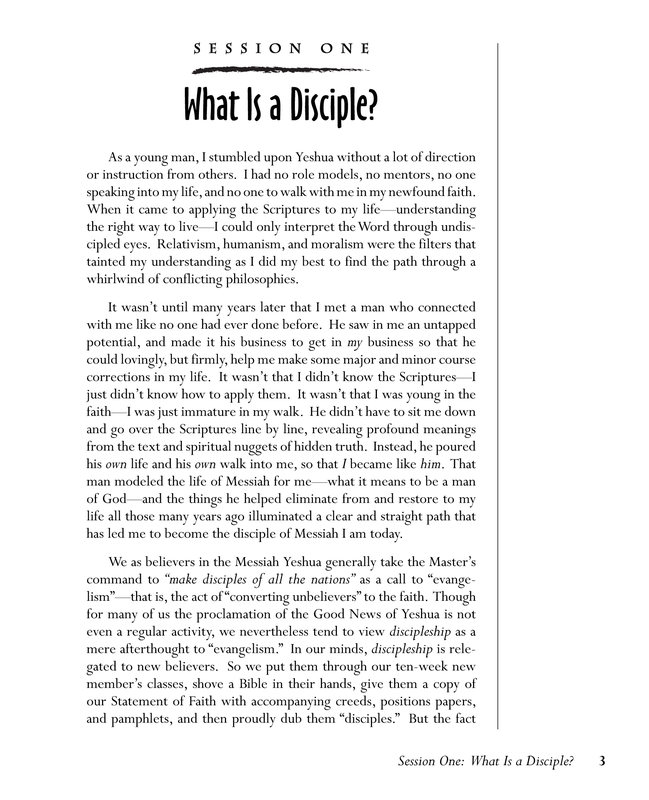 GET THIS BOOK, and start realizing your potential to become the disciple that you were created to be. It is never too late. . . This is by far the best discipleship book study I have participated in! 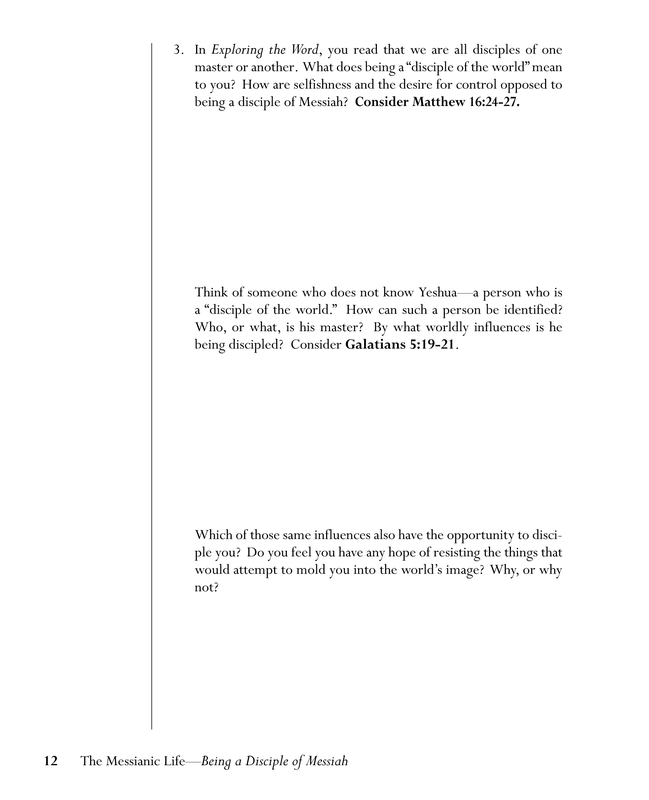 A good balance of information and thought provoking questions to enhance my relationship with Yeshua. This is not a surface level study. I have been challenged to take a more heartfelt, sobering evaluation of my personal walk with Yeshua. Each week Holy Spirit chisels away at my imperfections while still encouraging me through His love. 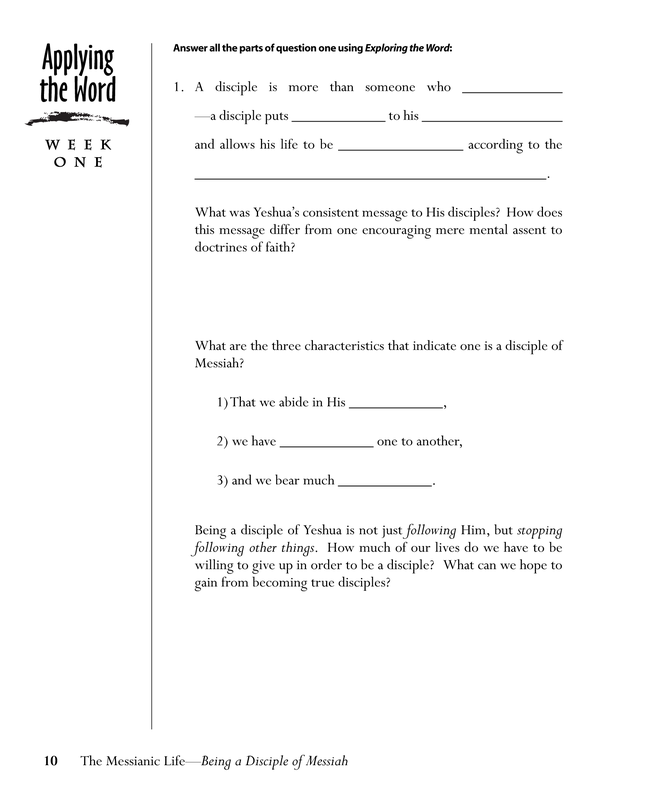 This is a great study for 2 or a small group! 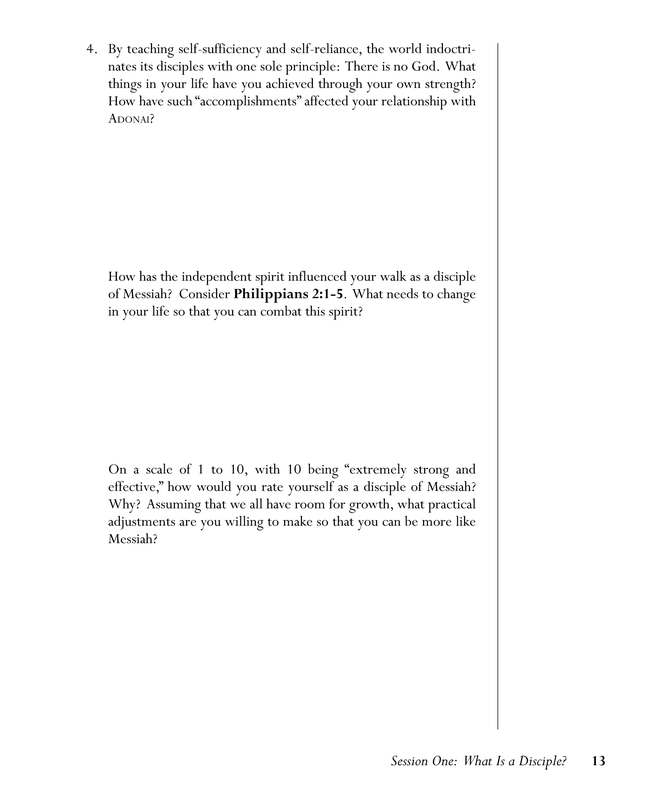 A must for sound spiritual growth! A very challenging study. Forces you, gently, to ask yourself the hard questions. Very well written, clear and concise. Requires honesty in answering the questions, motivates you to grow and extend yourself to the outside world. Excellent, worthwhile and serious. I can’t thank you enough for writing this. I thought I was finding a wonderful resourse to help others, and I found that I needed it as much as they did. 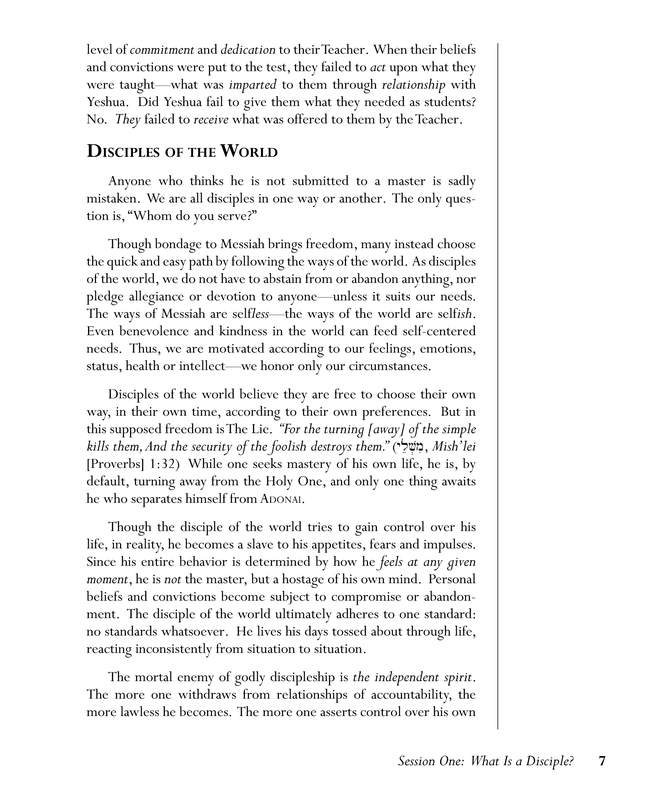 I have been doing one on one with several people, and each meeting, each discussion reveals more riches in the Word. Even to the point where there have been miraculous healings while studying His Word. It has been nothing but a blessing. Thank you again. This is our second time through, first shortly after it was published and now again in 2018. It was and it is an excellent Bible study. 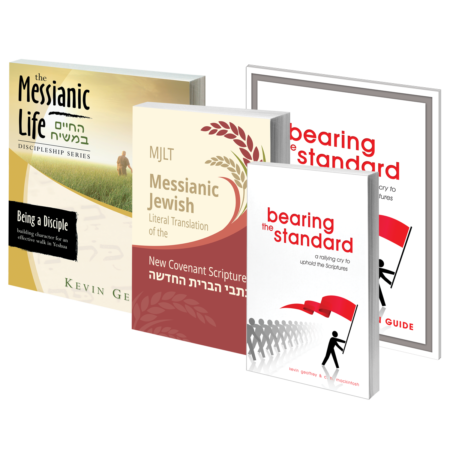 It challenges followers of Yeshua to critically examine their lives and to make changes where necessary. 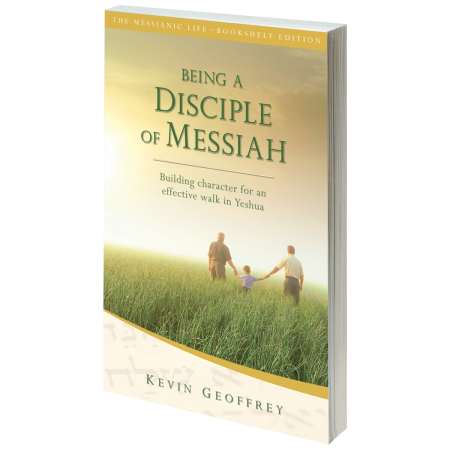 Kevin’s heart is evident throughout the study as he encourages us to follow the path to Messiah which he himself has found.